"All the Music on Earth, in Every Room, Wirelessly." That's all the introduction you need to know about the makers of the world's most sophisticated wireless speakers. You have a huge stack of music sitting somewhere - it could you on your PC, your network connected hard disk, your phone or even somewhere in the cloud on the Internet. Our homes are silent. Yes, we can all do with some music in our lives. So, it's the weekend and you wanna enjoy this treasure trove of music throughout the different rooms in your house - could be your living room, bedroom, your bathroom or even the kitchen. Now. You got several choices. Do you... buy some Bluetooth speakers? Which is nice, but it means you can't stray more than 10m away from them? 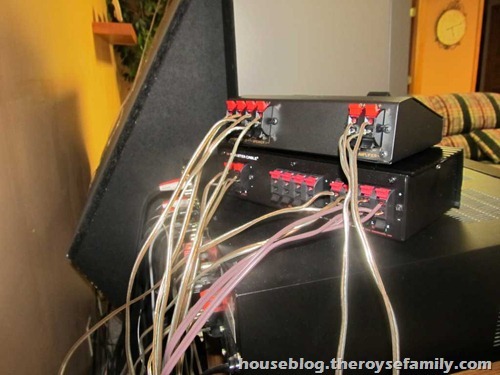 Do you... spend lots and lots of money to place a speaker in every room and wire them up to a central console? Meaning nobody can change up the music unless they are near that console? 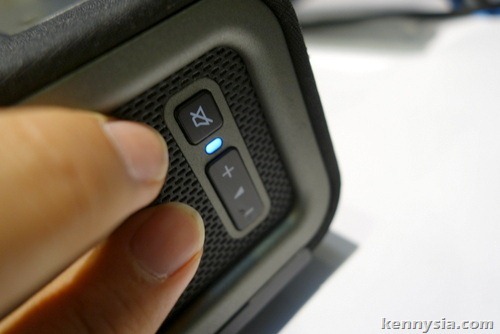 Or do you simply play the music from the tiny holes you called "speakers" of smartphone? And bear with the tinny hollow sound quality? The idea behind SONOS is simple. 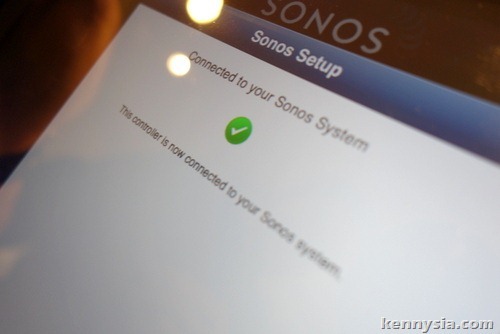 You can place any amount of SONOS speakers throughout your house, all wirelessly linked to your central console. 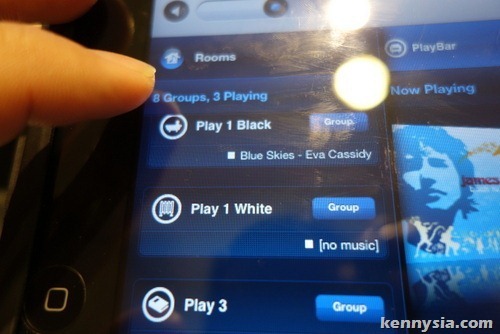 You can have can set these speakers to play different songs in every room, or play the same song throughout. Best of all, you don't need to me near the central console to do any DJ-ing. 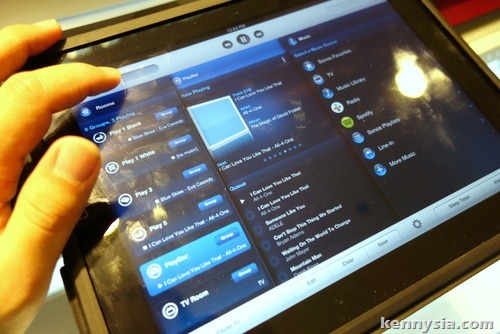 Everything can music selection to volume can be controlled from your Android, iPhone or iPad. I have heard of SONOS before. 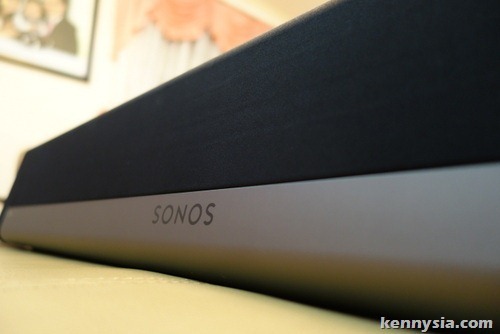 But it wasn't until I tried the SONOS Playbar that I truly realised what I was missing out on. 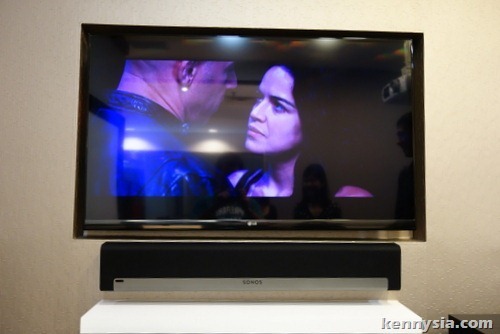 Like other sound bars on the market, the SONOS Playbar is designed to hook up to your TV to take over the job of your typically pathetic-sounding TV speakers. 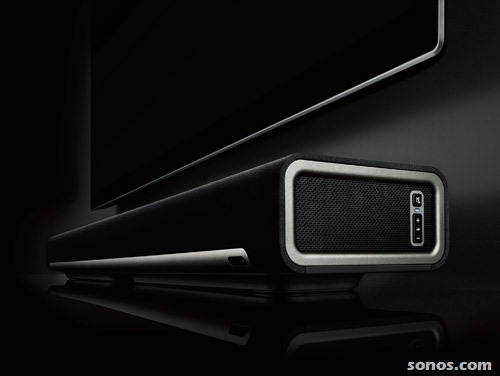 UNLIKE other sound bars though, the SONOS Playbar can stream music from your computer/network harddisk/Internet at the touch of a button. Obviously this works better if you already have other SONOS speakers located throughout your house. Appearance-wise, the SONOS Playbar is like the speaker version of Wong LeeHom - it's slim, it's handsome and it's also very down-to-earth. Minimal buttons on the outside gives it a nice Apple-type feel. It is sophisticated without being complicated. With a built just nice enough to slide underneath your TV, the Playbar certain looks good in any living room setting. Hidden beneath it's minimalist looking exterior is a plethora of high-tech goodies: nine speakers, various sensors to optimize tweaking of the EQ, and the wireless ability to hook up with other SONOS speakers to create a 5.1 surround sound system - if required. Enough about the looks. How does the Playbar sound? In two words: bloody amazing. The audio experience is rich and immersive. This is astounding, because the Playbar is so much more compact than your traditional set-up, yet it is capable of delivering the illusion of surround sound. The bass can be a little weak, so pairing it with a subwoofer would obviously help. But make no mistake about it - on it's own, it is sweet as it is! I haven't even begun to rave how easy it was to set up the SONOS Playbar. Because there are no wires, the set up suddenly becomes so simple. Quick Start literally means quick start - download the app, launch the software, press a button, and everything's configured. From unboxing to music... less than 15 minutes! 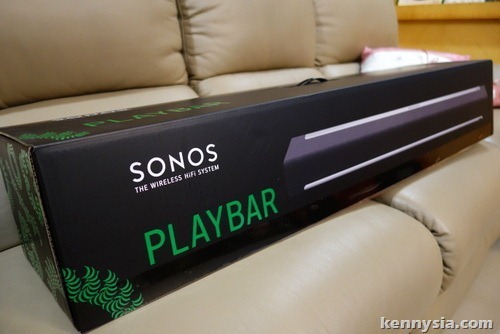 The only negative I can think of with the SONOS Playbar is perhaps the price. 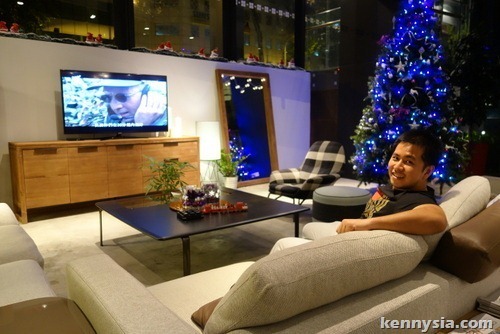 A S$1,299 price tag puts it firmly in the premium category. And although it is nice on its own, the SONOS system truly shines when there's at least a couple of SONOS speaker products scattered throughout your house. For a more lengthy, geeky review of the SONOS Playbar, you can read reviews from sites like Engadget, Mr Brown or Hardwarezone. To get your hands on these awesome speakers, look out for them in your local Harvery Normans or Machines. 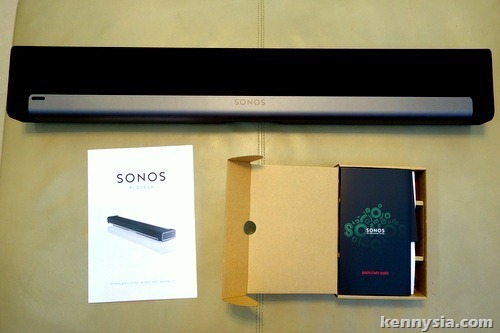 If all else fails, you can always buy them online from sonos-sea.com - they would even deliver to Malaysia! 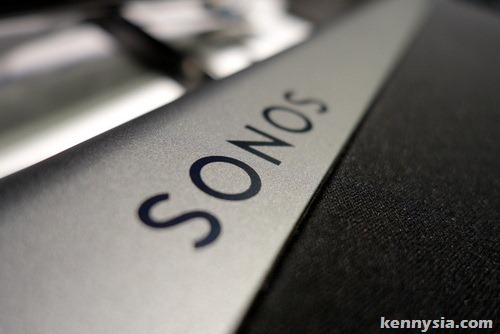 SONOS - really they should have named it So Nice! Clearly initially, is without a doubt your lady searching for a sit back and watch which will your lady will be able to be dressed in once your lady fades around town? WOW! All The System Are Awesome Yar. Wow! Sound great.. I didn't try this.speakers without wires can be the best option to take your music in all rooms of your house.